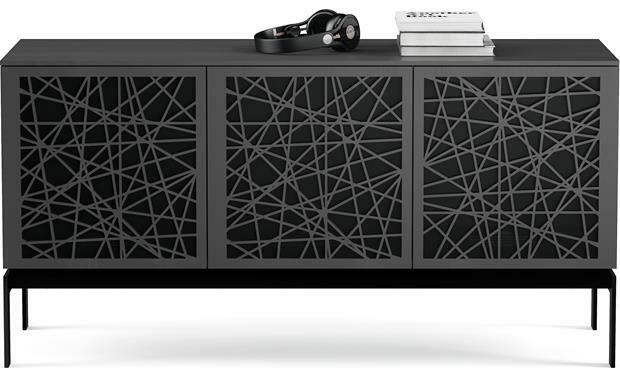 The design of BDI Elements 8777 home theater cabinet makes it a focal point for your room. 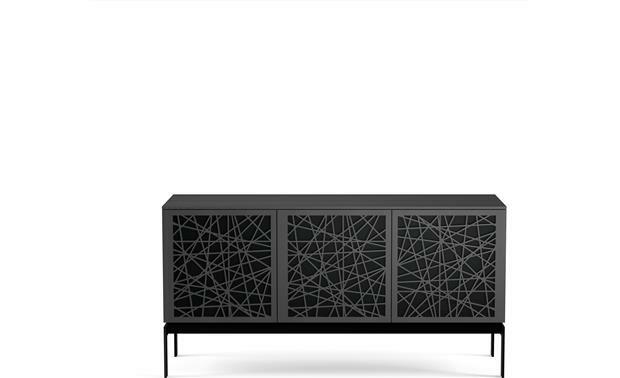 The design of BDI Elements 8777 home theater cabinet makes it a focal point for your room. The precision laser-cut wood doors feature attractive, element-inspired motifs. The backing perforated metal screens ensure your gear remains hidden while letting sound pass through. The Elements 8777 can support a TV with a screen size of up to 70" and weighing up to 150 lbs. 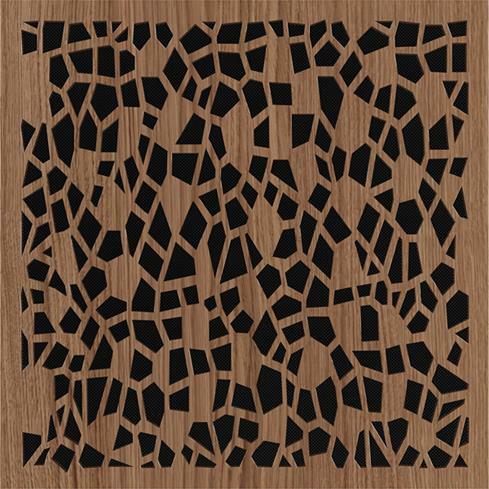 Precision laser-cut wood doors are an attractive feature (Mozaic pattern in Natural Walnut finish shown). The cabinet features three compartments for your components. Each compartment has two fixed shelves. Partial interior dividers allow a sound bar up to 44” wide to fit across all three compartments. Searches related to the BDI Elements 8777 Audio/video cabinet with tall console base for TVs up to 70".